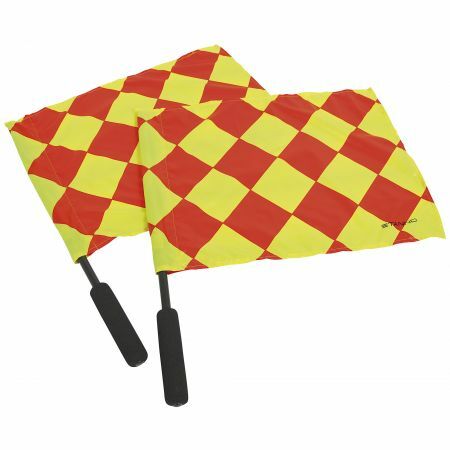 The linesman flag is an indispensable tool for the linesman. This set includes two sticks (PVC material) with flag. The sticks have a soft handle of foam material. The flags are pushed over the stick and fitted with a sturdy clip.